Today, electronic surveillance can also refer to surveillance done via computer or mobile phone. For example, computer surveillance can include e-mail tracking, internet surveillance, and remote PC surveillance. Monitor mobile phones, computers, and other electronic devices. If you want to keep your home safe, electronic surveillance can monitor what is happening in your home even while you are away. The same applies to a place of business. A combination of video and audio surveillance gives you the most complete picture of what is happening at a specific place and time. It is a way to oversee behavior, activity, and information for the purpose of protecting, managing, or influencing a certain location. In many states, there are laws that stipulate who can use surveillance techniques and how they can use them (visit our page on audio surveillance to learn these laws by state). Electronic surveillance laws are especially strict because there are many ways that it can be used to invade privacy. For this reason, it is imperative you never attempt electronic surveillance yourself. Not only will any findings be potentially inadmissible in court, but you may find yourself facing a lawsuit. A trained investigator has experience with electronic surveillance and knows the laws surrounding it. Information found on computers, tablets, and mobile devices can be valuable when conducting an investigation. From malicious spyware to an employee’s activities, it is increasingly important that businesses and individuals have a complete understanding of their computers. Failure to monitor a computer can result in crashes, lost data, or stolen information. Electronic surveillance can alleviate or eliminate fears business owners have regarding computer security. Electronic surveillance of mobile phones is quickly becoming a viable means of gathering information about an individual. Geographical location can be fairly easy to track and is helpful when determining where an individual will be in the future. More often, text messages and phone records are being used as evidence in court. For example, inappropriate phone interactions can be an integral part of an infidelity investigation. Am I under electronic surveillance? If you leave your home, you are probably under some form of surveillance. Many banks, businesses, and companies use electronic surveillance to monitor activities and have footage in the event of unlawful activities. Cities are following suit by installing cameras and other digital monitoring devices in public places. Do I need an electronic surveillance investigation? If you want a better security system for your home or business, electronic surveillance may be your best choice. 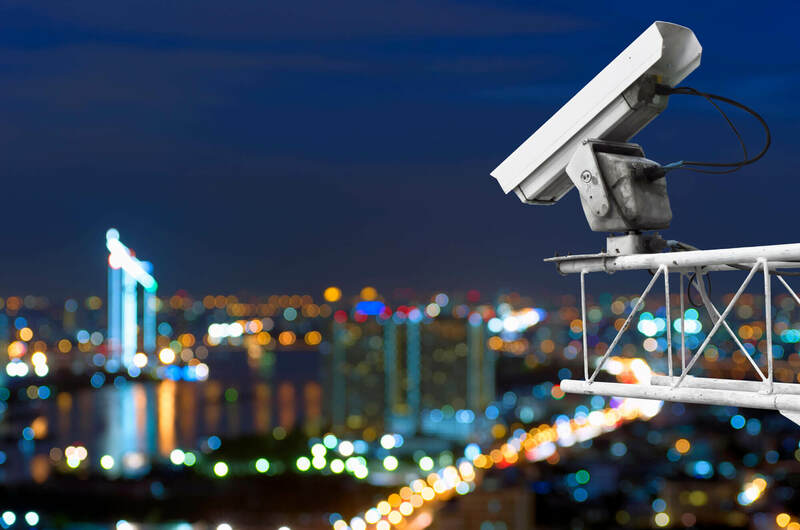 Electronic surveillance systems are a practical means for securing your home or business. Having the facts on video, in photographs, or in another audio-visual format can give you the factual information you need to win a case. What can I expect from an investigator specializing in electronic surveillance? If you are concerned about the safety of your business or home, an investigator trained in electronic surveillance will analyze and record any suspicious or criminal activity. They do this by discreetly following a subject or setting up cameras to document their activity. An investigator will be licensed in the state they are serving, have equipment that properly records details, explain to you their surveillance plan, and be an expert witness in the event they need to testify in court. Use the search utility on the top of this page or select from a state listed below to find an electronic surveillance investigator, or give us a call at (888) 997-4669.